Everything you ever wanted (and needed) to know about creating and promoting a brand that attracts the right candidates. It will usually be used for webinars. Why Employer Branding? Why Now? Whether you have a robust employer branding strategy or you're only beginning to think about it, we have top tips for you in this 30+ page Ebook. We looked at the companies with the best employer branding in the world to show you how to create and share your own story. 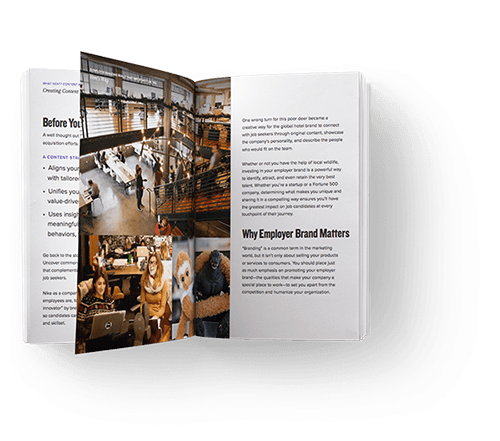 As a bonus, this Ebook contains a free assessment you can take to see how your employer brand stacks up.